The Psychophysiologic Disorders Association (PPDA), founded in 2009 and incorporated in 2011, is a 501(c)(3) health education non-profit dedicated to advancing the diagnosis and treatment of stress-induced medical conditions. Psychophysiologic Disorders (PPD) affect hundreds of millions of people annually, and about one third of all patient visits to primary care medical professional are PPD-related. We are a team of clinicians, researchers and patient advocates passionate about reducing suffering in millions of people by educating medical and mental health practitioners as well as the public about PPD. We also support clinical pain and neuroscience research. Educating health professionals around the world is necessary to increase the number of clinicians and therapists who can diagnose and treat PPD, but education is also a key component of the treatment process for patients. By learning about PPD and understanding what does and, more importantly, what does NOT cause their symptoms, patients are able to reverse the neural pathways that cause their pain and/or other chronic symptoms. Our treatment approach is demonstrably safer, more affordable, and more effective than the usual (outdated) treatments recommended for chronic pain and medically unexplained symptoms. With our focus on uncovering sources of stress, trauma and unrecognized emotion, patients are able to relieve and even CURE their symptoms without surgery, physical therapy, medication, or expensive alternative treatments. Learn more about the PPDA’s impact including outreach projects and clinical research. We are creating a continued medical education (CME) online course for health professionals who want to learn how to diagnose and treat mind-body disorders. Led by David Clarke, MD (PPDA President) and Jessica Shahinian (Outreach Director), the course utilizes multiple real-world case studies to challenge participants to conduct a stress evaluation, treat the patient on the basis of empathy, and be capable of curing chronic conditions that were previously thought to be incurable. Our online course will be available Spring 2019. Learn more about the course, instructors and watch module 1 of 13. Psychophysiologic Disorders: An Interprofessional Approach is a new textbook for healthcare professionals with planned publication in 2019. The authors represent a wide range of training and experience including Family Medicine, Gastroenterology, Internal Medicine, Movement Therapy, Physiotherapy, Psychiatry, Psychoanalysis, Psychology, Sports Medicine and the perspective of a patient. They also represent Australia, Canada, Ireland, the United Kingdom and six of the United States. Chapters will focus on the neurophysiology, clinical assessment, diagnosis and treatment of common presentations of PPD including medically unexplained symptoms and chronic functional syndromes. Significant effort is being made to limit specialty-specific jargon so that a range of clinicians (and even the lay public) can take advantage of the authors' decades of experience. Dr. Clarke is a Clinical Assistant Professor of Gastroenterology Emeritus and Assistant Director at the Center for Ethics at Oregon Health & Science University (OHSU) where he teaches PPD to Internal Medicine Residents. He is a Faculty Associate at Arizona State University and at the Cummings Graduate Institute (both in Arizona) where he teaches candidates for the Doctor of Behavioral Health degree. He is a Clinical Lecturer in the Physician Assistant school at Pacific University in Oregon. 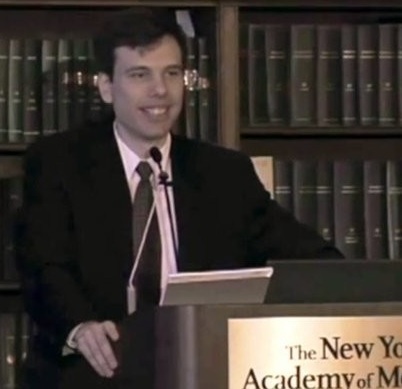 He has received numerous awards for patient care and is a member of the American Psychosomatic Society, the Academy of Consultation-Liaison Psychiatry and the Collaborative Family Healthcare Association where he co-Chairs the Special Interest Group on Medically Unexplained Symptoms. He has been a Visiting Professor at the Royal Children's Hospital in Brisbane, Australia and at Oxford University in England. He was also the Ethics Director for his medical group from 2005-2008. Dr. Clarke lectures on PPD frequently throughout North America and Europe and he has appeared on over 100 TV and radio broadcasts. His website is StressIllness.com. Forest is an Instructor of Economics at Boston University where he is a PhD candidate. He specializes in Health Economics and decision-making. He has created the largest source of information for the public about PPD at TMSWiki.org. He also has an undergraduate concentration in computer science and experience as a trainer, consultant and integrator in the computer industry. Dr. Schubiner is an internist and the Director of the Mind Body Medicine Center at Providence-Providence Park Hospital in Southfield, Michigan. He is a Clinical Professor at the Michigan State University College of Human Medicine and is a fellow in the American College of Physicians, and the American Academy of Pediatrics. He has authored more than 100 publications in scientific journals and books, and lectures regionally, nationally, and internationally. He was awarded a multi-million dollar grant by the National Institutes of Health to conduct research studies of an emotional expression intervention for individuals with fibromyalgia, which is a form of PPD. Dr. Schubiner has consulted for the American Medical Association, the National Institute on Drug Abuse, and the National Institute on Mental Health. Dr. Schubiner is the author of three books: Unlearn Your Pain, Unlearn Your Anxiety and Depression, and Hidden From View, written with Dr. Allan Abbass. He lives in the Detroit area with his wife of thirty-four years and has two adult children. His web site is UnlearnYourPain.com. Jessica is a passionate patient advocate, marketing strategist, and creator of GotPainCure, an educational web series on mindbody disorders (PPD). Her background is in the performing arts as a dancer/aerialist having performed internationally, as well as an actor on TV. As a Marketing & Sales Strategist for the last 9 years, she’s represented 35 top brands from Porsche to Hasbro, and assisted with event management for large corporate events and fundraisers. Jessica overcame years of mindbody symptoms that threatened to end not only her dance career but also her life. She’s a real-life example of how effective the PPDA’s approach is in curing chronic symptoms, and her personal recovery story fuels her passion for helping others recover around the world. Her GotPainCure videos have been viewed in 33 countries by health professionals and the public, and is used as a recovery resource for PPD patients. She continues to study various continued education courses, including medical neuroscience and health care innovation, in order to grow her knowledge and skillsets and increase the impact of her work. She is based in New York City. Dr. David Schechter graduated with a degree from Princeton University. While a medical student at NYU in the early 1980's, he was first exposed to a stress related disorder - his own! After successful treatment as a patient of Dr. John Sarno, he performed a telephone follow up study, in Dr. Sarno’s office. This study's results are cited in Dr. Sarno’s first two books. After a residency in Family Medicine, he received a Certificate of Additional Qualifications in Sports Medicine. Dr. Schechter has been treating chronic pain and other functional disorders with a psycho-education approach for over 25 years in private practice. He has a credential in Integrative Pain Management. In addition, Dr. Schechter is the author of Think Away Your Pain, The MindBody Workbook, The MindBody AudioProgram, and The MindBody Patient Panel DVD, which comprise a home educational program for TMS. He was the Principal Investigator of the Seligman Medical Institute between 2003-2007 and with that part-time grant, he published several papers, the final one an outcome study published in Alternative Therapies. Dr. Schechter has been named a Top Doctor for over ten years and is listed in US News and World Report, Men's Health Magazine, and LA Magazine as a Top Doctor in his field(s). He spends most of his time seeing patients in Culver City, CA and educating the public about stress-related disorders with podcast, TV, and radio appearances. Dr. David Hanscom is a board-certified orthopedic surgeon specializing in the surgical correction of complex spine problems in the cervical, thoracic, and lumbar spine. He has expertise in adult and pediatric spinal deformities such as scoliosis and kyphosis. A significant part of his practice was devoted to performing surgery on patients who had undergone multiple prior spine surgeries. He is focusing his efforts on bringing effective medical treatments for chronic mental and physical pain back into mainstream medicine. He is creating a business structure, Vertus, Inc. that also will present these concepts to the public. Around 2001 he began to share his own stress management tools with his patients that were in pain but had no indications for surgery. He had spent much of his career with rehabilitation physicians learning non-operative care. By 2006 a structured spine treatment protocol evolved from his own experience escaping from chronic pain He published a book, Back in Control: A Surgeon’s Roadmap Out of Chronic Pain that is the basis of the program. His website, BackInControl.com is the action plan for DOC project (Direct your Own Care). Even patients with surgical problems often experience resolution of their pain without an operation. Orthopedic spine surgeon, Swedish Neuroscience Specialists, Swedish Medical Center, Seattle, WA – retired December 2018. He received his medical degree from Loma Linda University in 1979. His residency training began with internal medicine in Spokane, WA from 1979-1981. Orthopedic surgery training was done at the University of Hawaii from 1981-1984. He did an orthopedic trauma fellowship at UC Davis in Sacramento, CA. His spinal deformity fellowship was completed in Minneapolis, MN at Twin Cities Scoliosis Center in 1986. He has been performing complex spinal surgery since 1986. Awake at the Wound is a program that applies athletic performance principles to the surgeon and OR staff. The emphasis is focused on consistency of performance. He co-founded the program with his golf-instructor, David Elaimy, in 2006. The concepts are applicable to preventing and addressing professional burnout. Optimizing Physician Performance has been incorporated into the core training for the fellows and residents.